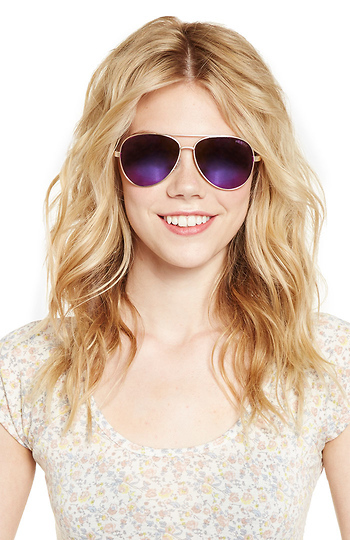 Classic aviator sunglasses with glare-reducing pink lenses and a stainless steel frame. 100% UV Protection. By MINKPINK.